Posted on October 17, 2017 by rbaron. 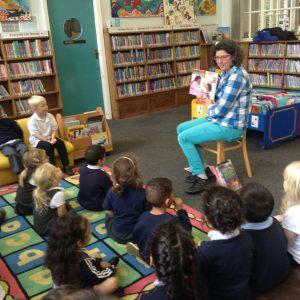 Last week, the Seashells went on their first school trip to Walkley Library. 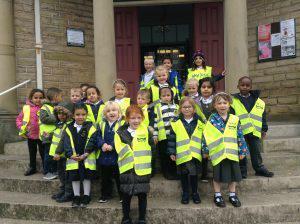 We wore bright vests so that we could be easily seen when we were walking. we also had special wrists bands in-case we got lost. We met Laura who works at the library and she read us a story called Lulu at the library. Sitting on comfy seats and listening to stories. We had such a fun afternoon! Well done everyone for behaving so beautifully. We can’t wait to organise our next school trip! Wow is every nice, the childrens they have lots of experience. Thanks for all the stafff.